 We are licensed by the state of California (license number 3706-0987) and by the city of Escondido (license number 119651) to make loans on items of value. During the course of the loan your merchandise will be safely stored in our specially designed steel reinforced vault. For further protection, we have a state of the art alarm system which is monitored 24 hours per day, professionally designed and installed security gates, a private security patrol, and a 24 hour video monitor which transmits and stores images off premises. Likely your valuables are even safer with us than when they are at your home! Merchandise to be used as collateral must be brought to us by the legal owner. Proper photo identification is required, and the borrower must be at least 18 years of age. As with other aspects of our business, we often get repeat business from pawn customers. This tells us that these valued clients are happy with the way they are treated. If you are in need of some ready cash we invite you to come in and see us. Frequently Asked Questions about pawn loans. Please Note – We offer the following information as a free source of help. 1. Q: How much interest will I have to pay? A: The rates charged by us are fixed by the California State Legislature, which closely regulates all legitimate pawn shops. The legislature is quite concerned with protecting the rights of the customer. The loans we make are often to people who want to borrow an amount of money that is too small for a bank to mess with. In the case where the customer needs to borrow a few thousand dollars for a month or two we actually are quite competitive with banks. The main reason for this is that banks seem to be able to dream up all sorts of “loan origination” fees which the borrower has to pay. We charge a maximum of $10.00 to write a loan, period. Try that at a bank! 2. Q: I need to borrow some money but all I have is my computer. What about it? A: Sorry. We have too many of those sitting around now. They simply become obsolete too fast. 3. Q: What will you loan money on, then? A: We like to loan money on the things we deal in, simply because we already have a clientele that will buy such items from us if you default. We occasionally do make loans on tools, electronics, and musical instruments. We do not loan on guns. Other stores specialize in making loans on merchandise that we don’t carry. We would be happy to direct you to one of these if you will contact us. 4. Q: What if I forget about my loan and let it expire? Do I lose the merchandise? A: If your loan expires we will send a reminder notice to you and you will have a ten day grace period to either redeem your merchandise or pay the applicable charges and rewrite the loan for another four months. Keep in mind that if you move you should let us know your new address. It is not our responsibility that you receive the notice – only that is was sent to you at the address you have given us to use. 5. Q: How long is the loan for? A: Four months and ten days. By state law a pawn loan is written for a period of more than four months. 6. Q: Will you loan me money on my car? A: No. You can borrow money on your car at some pawn shops, but we are not equipped to do so. Curious? Read above then bring your item in. We’ll be glad to help. Join our email list. Receive notices of specials and events.